Everything was ok, only the way to work with the elevator is very boring, because we need the room card to do any operation with the elevator. Usually I'm very satisfied by Ibis service, but this time I wouldn't say that everything was perfect. I was unpleasantly amazed with a mold in the bathroom. Parking place was fully busy and nobody has informed me, that there is underground paring in the hotel. Good, clean accommodation for reasonable price. Perfect choice to stay in Yaroslavl. Almost everything was ok or excellent. Just some things I was missing; - there would be good to be a little bottle of hair conditioner in the rooms - some mornings there were too few workers at the breakfast, too many piece of meals were not available several times. Good day! Arrived on time, placed us at once. I booked a family room, a two-room with Breakfast. When entered the room, I did not like the eerie and fetid smell, which is simply impossible to describe in words. I opened all the Windows and called the front Desk and asked them to help us get rid of it. Also asked to called the cleaner in the room, so the floor was dark hair, most likely from previous tenants. Came the lady and asked, what don't You like how I got out, very angrily. I was very surprised at this issue, and said that I would not explain anything, and once again asked to remove everything. About the smell it never did, until we walked a little bit ventilated room. The room itself is like, bad that for the money not to provide a set of hygiene products, this is a big minus. Only for a fee. I'm surprised there weren't Slippers. But since we were one night, the whole one night will go. I can write the following that chose a hotel that is known not only in Yaroslavl, and will never turn to Your company. And my friends who travel very often, I do not advise. Take action. Hotel has necessory facilities, adding with professional hotel staff especially in restaurant who are always eager to assist for guests comfortable and enjoyable staying. Good location. Staff speak English. Very nice hotel. Good location. Cheap price. We have only 1 day stay in Ibis hotel while on transfer to another location, but we enjoyed qality of service and attitude of hotel staff. It was really great and perfect experience. The service is on very high quality. The staff is friendly and kind! Everithing was perfect. Very clean ,beautifull,comfortable. My favourite hotel ! centrally located, comfortable rooms and very good service. 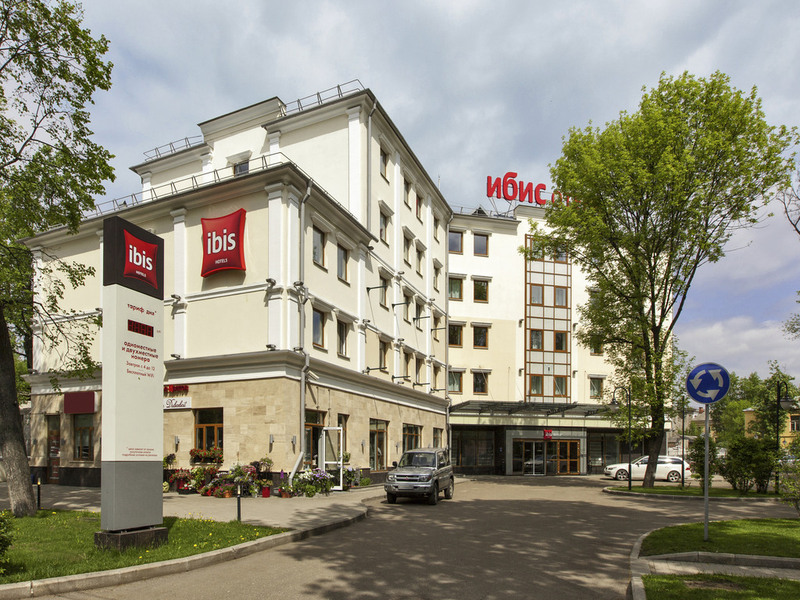 We had a short trip to Yaroslavl and chose Ibis to stay over the night. As we arrived earlier than the official check in we were happy that our room was already ready for us. The staff was friendly and eager to assist, overall we felt very welcome. The room was nice and cosy and just what is needed for a short stay. The opportunity to have an option to get meals at the premises was very welcome. The blanket might have been thinner - I personally felt slightly too warm under it. It would also be great to have kettle in the room, although we liked to have tea and coffee at the bar downstairs. This was a good value for money. There was couple of problems with the in room wired internet connection, and leaking bath cabin, but the staff did their very best to solve them. P.s. The bath cabin is still leaking in 515.